Can you believe it’s almost summer? I can smell the lilacs…and graduations are in the air as well. My Perfect Picture Book Friday pick is all about that. Let’s see…summer means bugs. And graduations mean spreading your wings to fly away. Lonely Lola Ladybug is the PERFECT choice. It was my pleasure to sit down and visit (in person) with Mary Jo Beswick, author and illustrator of Lonely Lola Ladybug, when she passed through my town on her New England bookstore tour. We exchanged books and she was kind enough to do a review of my book on her wonderful blog, Lean Into the Dream. I hope you’ll drop by her blog and leave a little comment love. She’s a talented artist and I know you’ll enjoy the coloring pages that can be printed out for kids. “Lonely Lola Ladybug lived in a tree, just one red dot on a leaf-green sea. I mentioned in several other blog posts that I was offering copies of my Show Me How book to subscribers who wanted to do an Amazon review and some social media shout-out love. In the last few days, I’ve mailed out 28 copies of the book!!!! And just yesterday, Patricia Saunders interviewed me on her blog: http://www.patriciasaunders.com/. I hope you will all get a chance to hop over there to read it. And for more wonderful picture book reviews, please visit Susanna Hill’s Perfect Picture Book Friday. Have a wonderful Memorial Day weekend, dear friends! So many have given their lives so that we can live ours in freedom. Let’s remember them with love and honor. 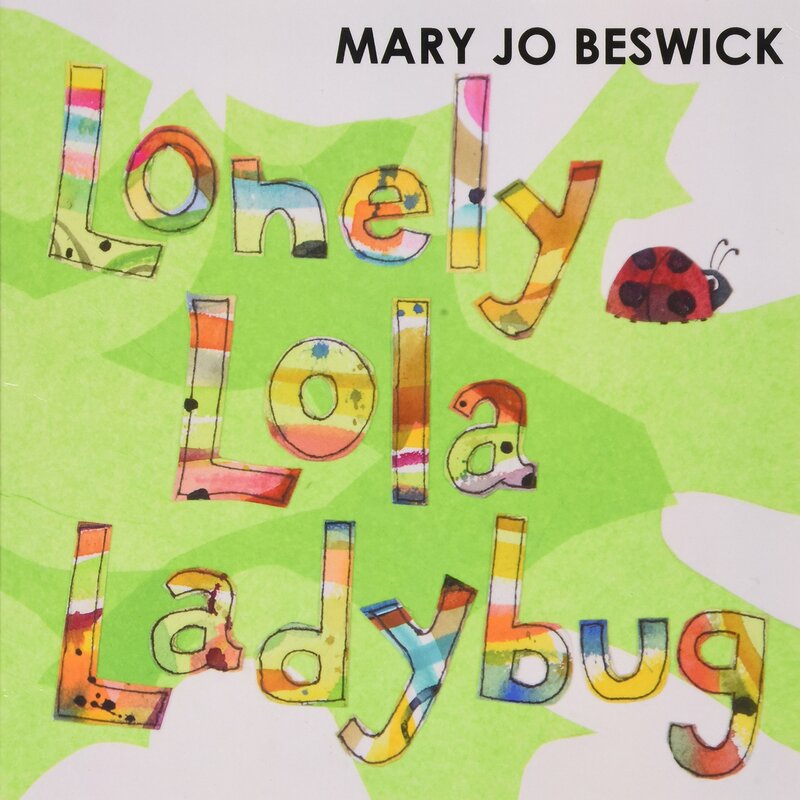 This entry was posted in Perfect Picture Book Friday and tagged Bellastoria Press, Book Giveaway, Lonely Lola Ladybug, Mary Jo Beswick, Paper Plate Ladybug Craft, picture book review by viviankirkfield. Bookmark the permalink. What a GREAT opening line and thanks for introducing me to a new author and a new publisher. Thank you Vivian for your lovely review of my debut book, Lonely Lola Ladybug! It looks like we were on the same wavelength writing about each other’s book at the same time! I can not get over the knowledge and thought and work that went into your writing of Show Me How. You are one talented lady! Have a peaceful and pleasant holiday weekend with your family. It was a labor of love, Mary Jo…as I know your book was also. 🙂 I was happy to put Lonely Lola Ladybug in the spotlight today…and I appreciate your post about Show Me How! Ditto for a lovely and safe holiday weekend. Super fun and colorful cover! I look forward to finding it! What a fun encounter with the author! Love the opening line. Leaving the nest is not easy for some kids. Great subject for young children. So true, Pat. And it also applies to us writers when it comes to submitting, attending conferences, approaching agents/editors…deep breath…ready, set, go! What a lovely opening line! It invites you right into the story! That is true, Andrea…and they say that first lines are oh so important…I need to keep remembering that as I write. 😉 Mary Jo hit it out of the ball park with that one! What a beautiful story and so true about letting go of your fear and taking that first step into the unknown. Great first line and lovely vibrant colours in the illustrations. A winning combination. Thanks for sharing, Vivian. Great suggestions and activities. Thanks! I love ladybugs and am always on the lookout for another ladybug story. 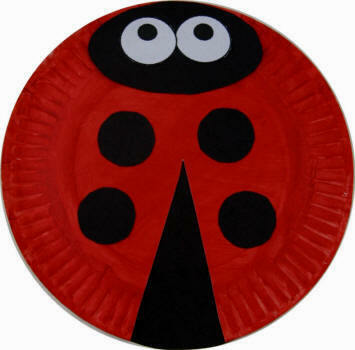 Thanks for sharing this one – and I really like the paper plate ladybug. I remember years ago, when ladybugs and fireflies were favorites of mine…on hot summer days, we’d carefully hold ladybugs in our hands…ladybug, ladybug, fly away home. And on hot summer night, clasping a firefly and watching our hands light up…magical! Glad you enjoyed the craft, Sue! Thank you for the heads up on an adorable picture book! And I’ve never heard of this publisher either. Happy Summer!